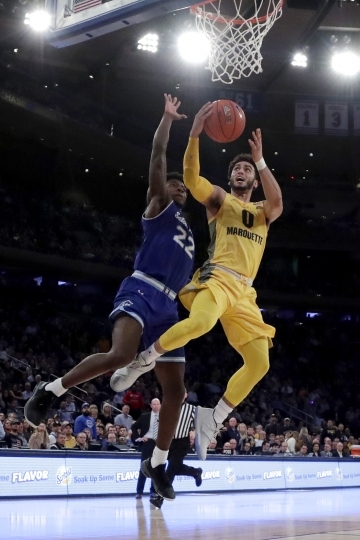 NEW YORK — Instead of a showdown between the Big East's top two scorers, Seton Hall-Marquette devolved into a chippy foul-fest and ended with the league's player of the year coming up short on a potential winning 3. 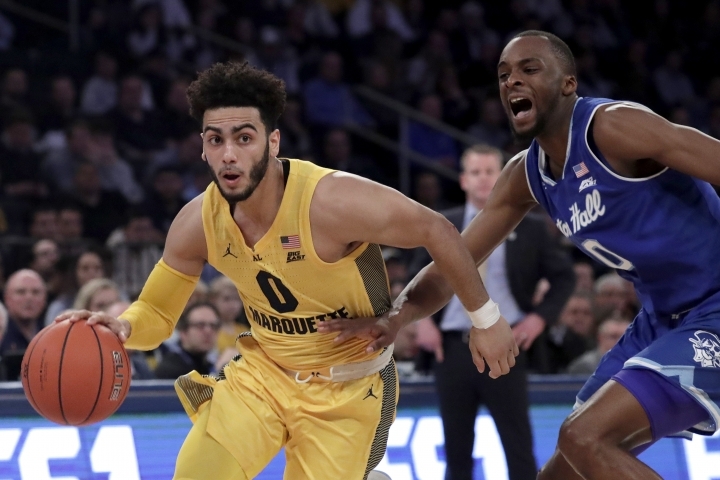 After 57 fouls — including nine technicals — were called, 85 free throws were shot and three players were ejected, Marquette star Markus Howard had a good look in the waning seconds and a chance to make up for one of his worst games of the season. 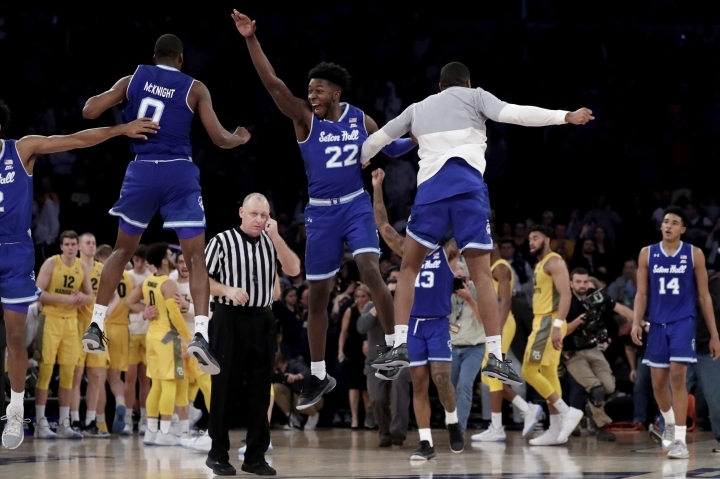 The shot hit the front of the rim at the buzzer, and Seton Hall advanced to the Big East Tournament championship with an 81-79 victory Friday night in a game that had just about everybody involved struggling to make sense of it all. 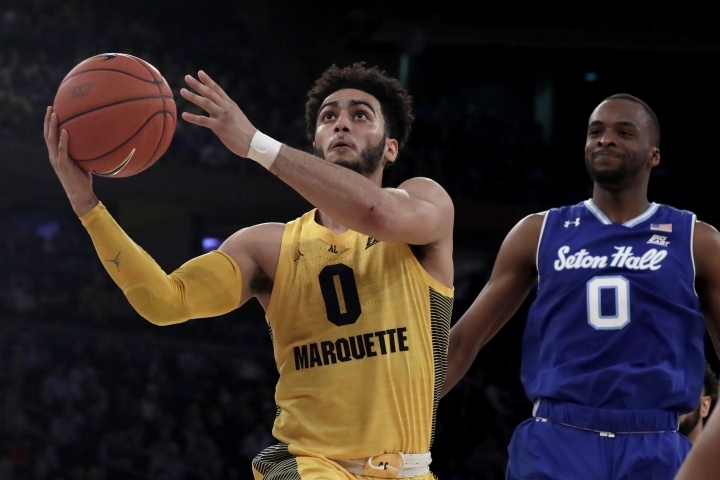 "Just so many unusual things happened," Marquette coach Steve Wojciechowski said. "It was the most unusual basketball game I've ever been a part of, and I feel bad for my kids. I wish our kids would have had a chance to decide the game, and their kids, too." Myles Powell, who thought he had been ejected after a dust-up between the teams in the second half, scored 18 of his 22 points in the second half to spark the Pirates. "It was crazy," said Powell, who is second in the conference in scoring. "I thought I let my teammates down." Howard, the Big East's leading scorer, scored 21 points, but was 1 for 15 from the field. He also went to the locker room with 2:24 left in the first half, favoring his left wrist. 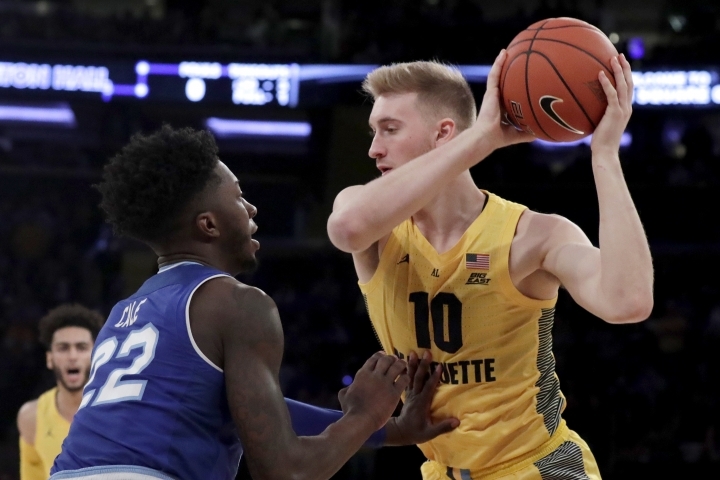 He started the second half, but the 90 percent free-throw shooter was 18 for 24 from the line for Marquette (24-9). "He was well enough to play," Wojciechowski said. 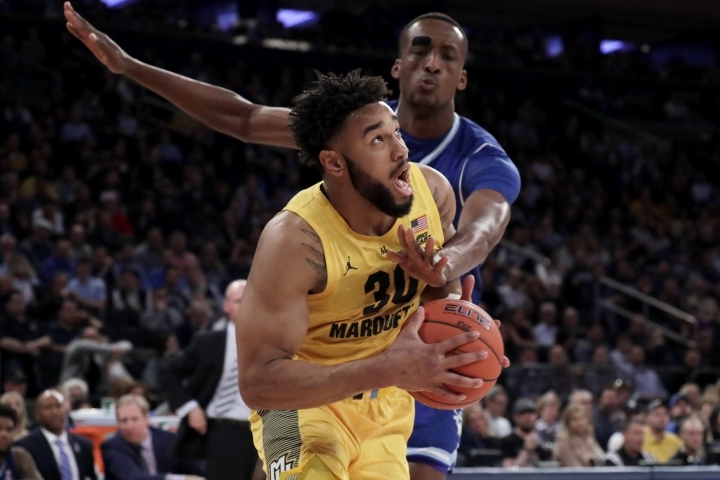 Powell, who scored a tournament-record 29 points in the first half of the quarterfinals against Georgetown, went on a personal 8-0 run in the second half against Marquette. He hit a pair of 3s and a pull-up jumper that gave Seton Hall its first lead, 46-44, with 14:55 left. Moments later, Powell was fouled going to the rim and officials had to separate the teams with 12:18 left. 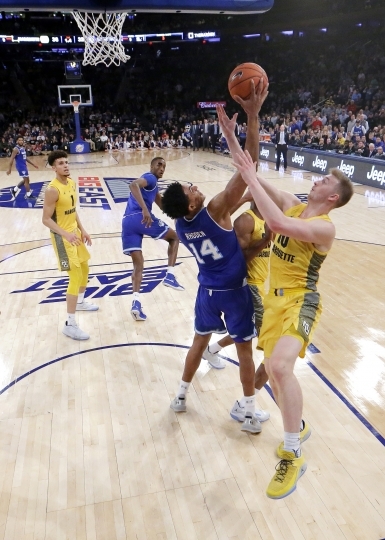 No punches were thrown, but Seton Hall's Sandro Mamukelashvili and Marquette's Sacar Anim and Theo John were ejected with technicals handed out left and right. "It was really tough for us not having our two best defenders in the game, Sacar and Theo," Wojciechowski said. Head official James Breeding spoke to a pool reporter after the game to explain the calls. He said because Powell had a flagrant personal foul in the first half, the Seton Hall bench thought that their star had been ejected. 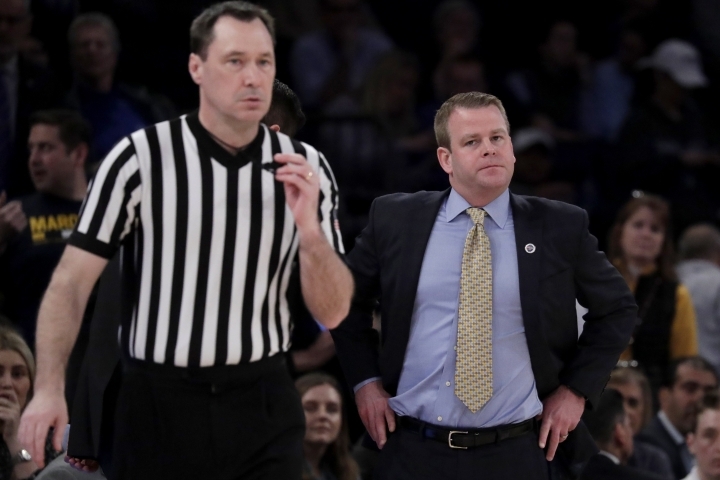 "It probably wasn't communicated clearly to them that his personal foul in the first half is a live ball flagrant personal foul, which carries a different penalty than the technical foul," Breeding said. "And those two together don't result in ejection." 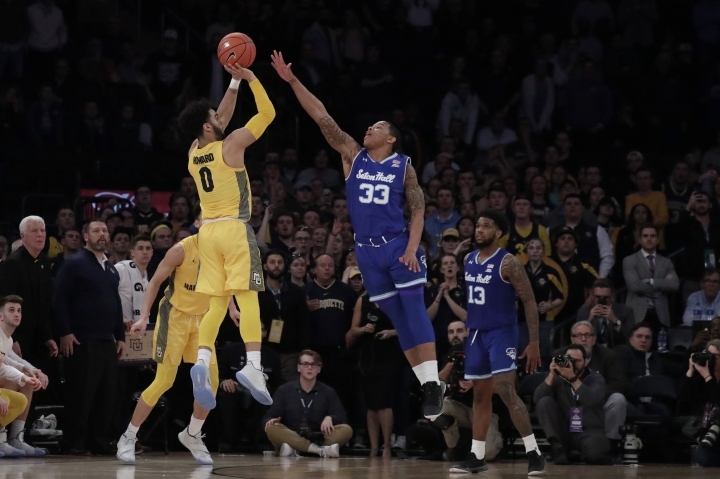 As for all the whistles, Breeding said: "I would just say that the fouls that were called are fouls we've called all year throughout the season." Willard said after the fracas he thought the officials did a good job controlling the game. "It was an emotional game. 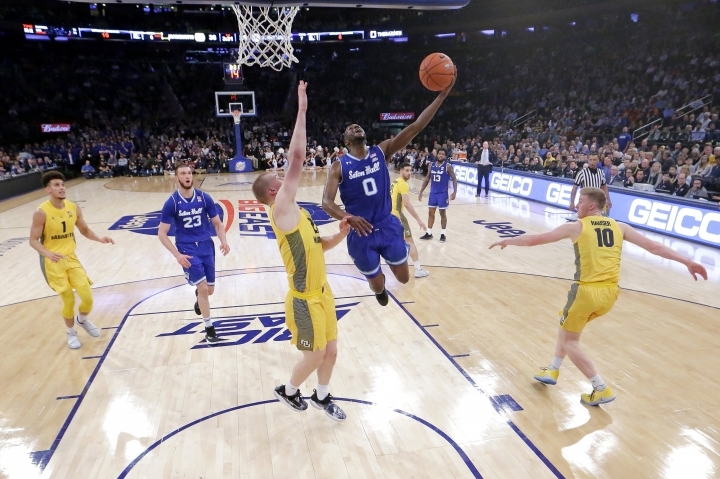 It's Friday night in the Garden, Big East Tournament," Willard said. "Both teams played extremely hard. Emotions were running, which, it's the Big East." Powell wasn't done, though. He hit consecutive 3s to get the Pirates fans jumping, the second giving Seton Hall a 64-63 lead with 6:35 left. 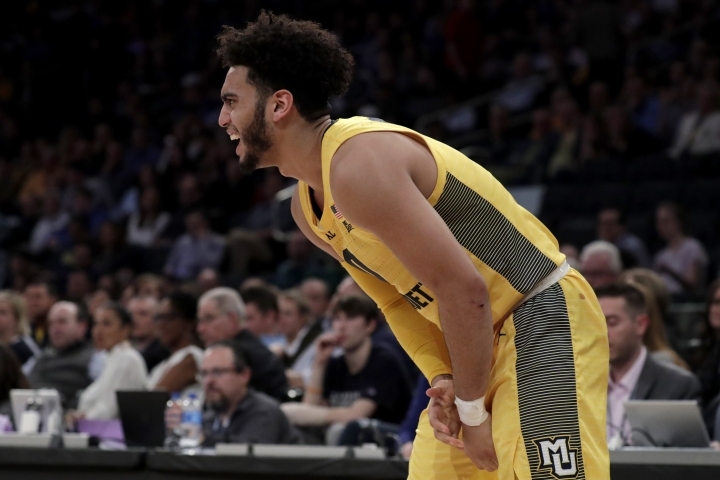 Powell backpedaled down the court, looking over his shoulder toward the Marquette bench.